The IBM 4820 Model 2WD is a 12.1-inch Pearl White ultra-thin display. It attaches to the IBM SurePOS 700 Models, SurePOS 300 Series (and other select systems) via the industry-standard 15-pin VGA-style analog video interface. 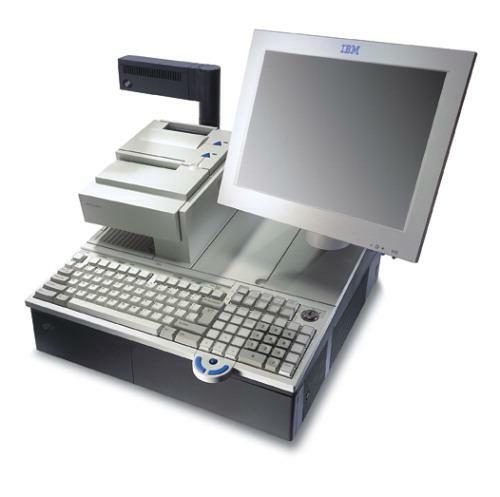 The Model 2WD will integrate smoothly on wide or narrow footprint system units including the SurePOS 700 platform, using IBM’s existing enhanced stiffness display mounts. The display covers are IBM Pearl White and are color-matched with other I/O devices that attach to an IBM system unit.